Deciding whether or not to invest in a business is hard. Until you have full access to the company, which happens only after the deal is done, it’s risky because it’s virtually impossible to understand a company’s operational strengths and weaknesses. There is very limited information. The balance sheet tells you about the company’s financial health. But statistically, most deals do not go as planned because there is a lack of knowledge of the non-financial health of the organization–what the balance sheet is NOT telling you. The MRI For Businesses© diagnostic quantifies all of these qualitative “invisible” aspects that successful businesses need to master, greatly increasing the chances of every deal being a winner! Just as an MRI is used to diagnose a person’s health, the MRI For Businesses© diagnostic delivers an independent health check on an organization’s operational performance. 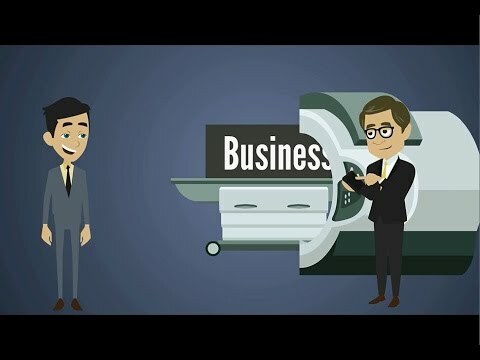 The MRI For Businesses© diagnostic is a powerful pre-deal asset that you can use as ‘insurance’ should something post-deal go unexpectedly off-course; it is an independent report that will reveal any existing issues in the company, and shows that you ‘left no stone unturned’ in your Operational Due Diligence process. How are you conducting Operational Due Diligence? Aside from looking at the balance sheet, what do you do to learn more about the business’s operations, its customer service, its company culture, the effectiveness of its management, its innovation and agility capabilities? How long does it take? What kind of results do you get? The investee typically will only allow you to speak to a few customers (the ones that the business WANTS YOU to speak with! ), and get a couple of meetings with a few executives. But all those other intangible assets remain pretty much hidden until after the deal is done. The MRI For Businesses© diagnostic gives you a complete snapshot by measuring the perception of ALL stakeholders: employees, managers, customers and suppliers, who are asked to complete a quick and easy on-line survey. Note that the MRI For Businesses© diagnostic can also be used as a 2-step process: pre-deal, just as a Customer improvement survey, and then after closing, include other stakeholders—Employees, Managers and Suppliers, at which point both results can be consolidated into a single report. The MRI For Businesses© survy is based on extensive research that identified the essential operational capabilities of long-term successful companies. Already used by hundreds of companies as well as PE firms, it is a fast information capturing approach that collects anonymous and fully confidential feedback from Customers and other stakeholders, when they click on a unique link that we send them which brings them to our technology driven data collection methodology. It takes an average of 5-7 minutes to complete, and because it can be sent to ALL customers, the results give a very complete picture of the Customers’ perceptions of the company’s brand value, including its operational effectiveness, customer loyalty, its ability to innovate and be agile for long-term growth, and the Company’s culture. Once the data is collected, you receive a report showing how the company ranks in these 5 major areas, as well 3 sub-areas for each of these, for a total measurement of 15 essential capabilities that drive every successful organization. In as little as 2 weeks, the MRI For Businesses© diagnostic provides objective and benchmarkable data on all the important non-financial hidden assets that the balance sheet does not cover. We don’t suggest that we can replace your judgement, but we can certainly give you better tools to exercise it. Whether you use the due diligence process to filter out deal flow, find hidden gems, look for risk points in your current portfolio, or are looking for a better way to manage all your active investments, we have the solution for you. We will save you time and money, lower your risk, and give you a better sense of control than you’ve ever had before. Contact us now to learn how our disruptive MRI for Businesses approach can compliment the balance sheet in a Due Diligence undertaking. Results guaranteed!